SATURDAY, April 2, 2016 (HealthDay News) -- In spray form, the "love hormone" oxytocin might aid weight loss, a small pilot study suggests. A single dose of oxytocin nasal spray decreased impulsive behavior in overweight and obese men, researchers found. "Impulsive behavior is an issue in obesity and results in overeating," said lead researcher Franziska Plessow, an instructor in medicine at Harvard Medical School and a research fellow in the neuroendocrine unit at Massachusetts General Hospital in Boston. "This could be a new, powerful way of helping obese individuals overcome their compulsive [eating]," Plessow said. "That's why we are excited about this." Much research needs to be done first, however. Plessow said her team plans to see if the spray has the same effect on women. Oxytocin occurs naturally in the human body and is important for controlling food intake and weight, the researchers said. The hormone has been linked with maternal bonding and mating. When a new mother nurses her baby, for instance, her brain releases oxytocin to help cement the mother-child connection. Last year, Plessow's group found that oxytocin nasal spray reduced the amount of calories from fat that people ate without affecting appetite, though researchers were not sure why, she explained. The next step is to see if the spray actually helps people control how much they eat, since overeating isn't always related to poor self-control, the researchers said. The study was funded by the U.S. National Institutes of Health. The results were scheduled for presentation Saturday at the Endocrine Society annual meeting, in Boston. 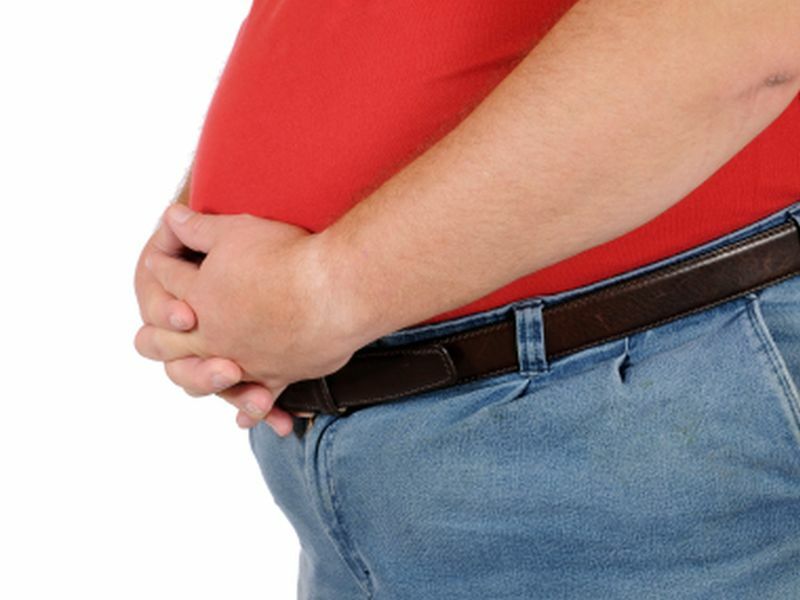 For the study, Plessow and colleagues used a synthetic oxytocin nasal spray made by Novartis to see if it would suppress impulsive behavior in 10 overweight and obese men. The men were trained to respond to a square symbol on a computer screen by pressing a left button and to respond to a triangle by pressing a right button. After becoming familiar with that task, they were told not to press a button upon seeing the symbol but instead to listen for a beep after the symbol appeared. This new task required the men to control their impulse to respond to the image, Plessow said. The men tried the test twice, using either oxytocin nasal spray or a placebo spray 15 minutes before each attempt. Men receiving oxytocin pressed the buttons less often when they were not supposed to compared with men given the placebo, researchers found. This showed that they had more self-control after receiving oxytocin, Plessow said. One expert, however, said the findings won't do much to solve the obesity epidemic. "Learning new things about the involvement of hormones in the regulation of appetite is certainly valuable. The hope that there may be a particular drug to control it all may be less so," said Dr. David Katz, director of the Yale University Prevention Research Center and president of the American College of Lifestyle Medicine. Many such drugs have shown some short-term benefit, only to prove ineffective, toxic, or both over time, he added. Katz believes the solution to widespread obesity requires substantial changes within the food industry. "Are we truly inclined, as a society, to peddle foods that willfully promote overeating and also peddle drugs to oppose that tendency as opposed to eating wholesome foods in the first place?" Katz asked.